Traditionally, digital video content has been delivered using terrestrial (a.k.a., Over The Air), satellite, cable, and telco broadcast transmission technologies. Over The Air (OTA) transmissions are received directly from the broadcaster by digital television sets via an antenna. OTA utilizes Vestigial Side Band (VSB) modulation in conjunction with Forward Error Correction (FEC) to mitigate transmission errors. Cable, satellite, and telco transmissions require proprietary receivers known as set-top boxes (STB) or digital video recorders (DVR) to complete the content delivery path. The proprietary nature of the STB/DVR is determined by an associated Access Control system used to encrypt the content as a theft deterrent. In addition, content delivery takes place over a managed network of equipment and infrastructures (coaxial cable, fiber, or twisted pairs) owned by the service provider. Cable, satellite, and telco transmissions use xQAM, xPSK, and xDSL modulation schemes, respectively. All three make use of FEC. With the advent of the Cable Modem, service providers are able to provide internet access and telephony services in addition to regular TV programming, often bundled under the Triple Play moniker. The introduction of internet technology on to the cable plant makes possible the delivery of broadcast digital content using standard IP protocols such as RMTP, IGMP and RTP by means of the Multicast addressing scheme. This delivery mode within the walled garden confines of the service provider network is known as IPTV. Advances in internet technology gave momentum to the delivery of digital content over the public internet using the IP protocol. This is referred to as the Over The Top (OTT) delivery mode facilitating the delivery of content to any device connected to the internet through any media. OTT delivery uses Adaptive Streaming Servers interacting with a variety of Adaptive Streaming Clients such as Apple HLS, Adobe HDS, Microsoft SS, MPEG-DASH. These developments have radically transformed the content delivery paradigm from one where content producers relied on intermediaries for distribution of their products to consumers on specific devices on a schedule to a world where consumers are able to get media content any time, on any device and everywhere. Moreover, content producers can now stream their products directly to consumers. The trend now is to enable consumers to become producers. For now, distribution is done through social media platforms, e.g., YouTube, Vimeo. Direct distribution by consumer may be next. 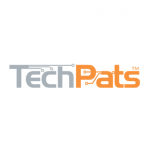 TechPats has experience in the analysis of various content delivery mechanisms. Our analysts have performed extensive tear-down and testing of digital settops and mobile devices, and analysis of services and features from many different content providers that includes live and in-lab testing.